HOME > Blog > Compliance for Banks & Lenders > When Are Servicemembers Entitled to Lower Interest Rates? The Servicemembers Civil Relief Act (“SCRA”) protects servicemembers from some court actions and financial costs. One SCRA benefit involves lower interest rates. Under the SCRA, which Congress enacted to relieve servicemembers of some worries back home while they are out serving their country, banks and other lenders cannot charge servicemembers more than 6 percent interest. 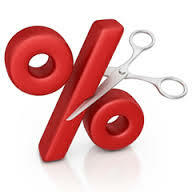 This rate applies to car loans, mortgages, personal loans, student loans, credit card debt, payday and pawnshops loans, and more. When servicemembers go on active duty, they should inform their lenders. They must do this no later than 180 days after military service terminates. They must also include a copy of their orders. When servicemembers are suddenly deployed, they may find it challenging to contact all creditors and provide them with copies of their orders. This is one reason they have the extra 180 days after return. It allows lenders to provide the rate retroactively. Calculating this is not always easy, especially in the instances of compounded rates, fees, surcharges, service or renewal charges, and escrow accounts. Regardless of the reasoning, courts have historically sided with servicemembers in cases that result in lawsuits. Lenders quibbling about notification not only frequently lose their cases, but courts may also slap them with fines and other penalties. Thus, more lenders are being proactive after witnessing unfavorable court settlements with the Department of Justice. Rather than waiting for notification about military service, the lenders are now periodically reviewing their client list to see if anyone may have recently entered into military service. The law is on the side of lenders unlness servicemembers incur a debt after military service begins. If a servicemember signs a lease or borrows money during this time, SCRA protections don’t apply. However, the Military Lending Act may provide protections, so tread carefully. Any lender who gets a request to lower the borrower’s interest rate to 6 percent should do a thorough investigation, including a military status verification. The dates of service are what is most important here. If the servicemember makes the request erroneously, lowering the interest rate to 6 percent could lead to unnecessary revenue loss. The 6 percent rate also applies to the servicemember’s spouse if they applied for the loan together. This most often includes mortgages, leases, credit card debt and car loans. SCRA protections may not apply to consolidated loans. However, they may, so err on the side of caution. A judge will determine the success or failure of this pursuit. Your first step in protecting yourself and your institution is to secure military status verifications. For large institutions, it is best to get this verification routinely for all clients. Once getting verification becomes standard procedure, the possibility of violations is greatly reduced. Further, having such a policy in place can offer an extra layer of protection in court because it demonstrates intent to do due diligence. Rely on the Servicemembers Civil Relief Act Centralized Verification Service for all your military status verifications.